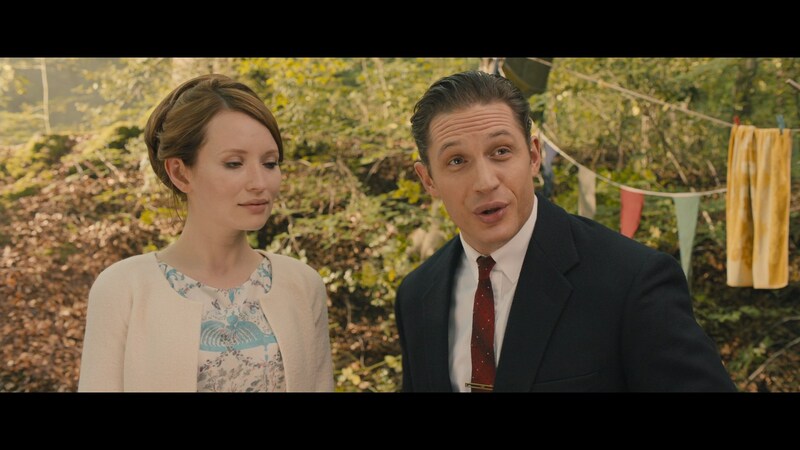 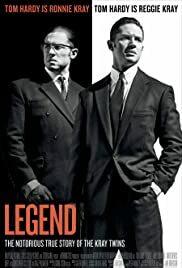 Reggie Kray’s (Tom Hardy) tie from Brian Helgeland’s 2015 film about the notorious Kray twins, Legend. 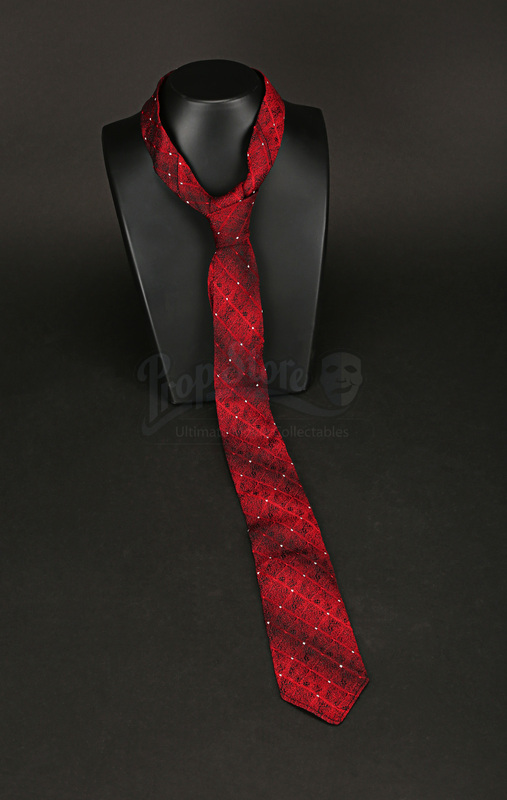 This tie is from the production and was worn by Reggie Kray when he takes his new girlfriend Frances (Emily Browning) to meet his brother Ronnie. 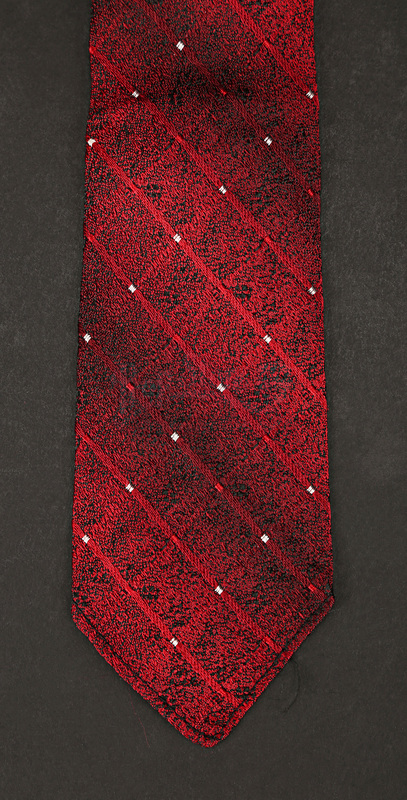 The tie is predominantly differing shades of red and black, with red and white cubes stitched into the pattern. It features a label which reads ‘Hope Brothers Regent St. W.I. 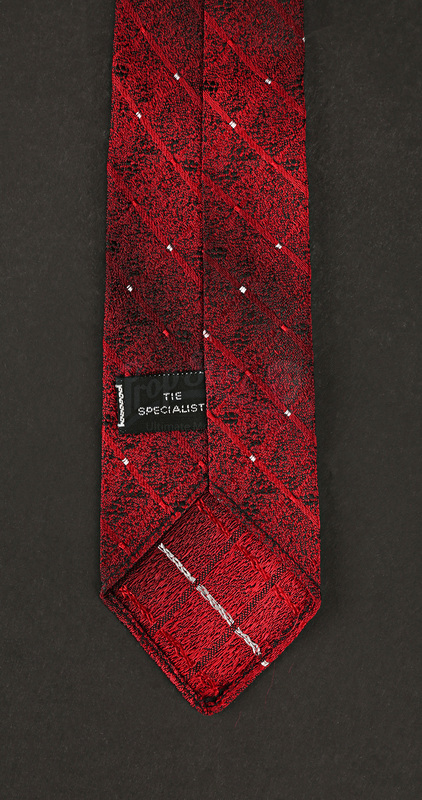 – Tie Specialists’. 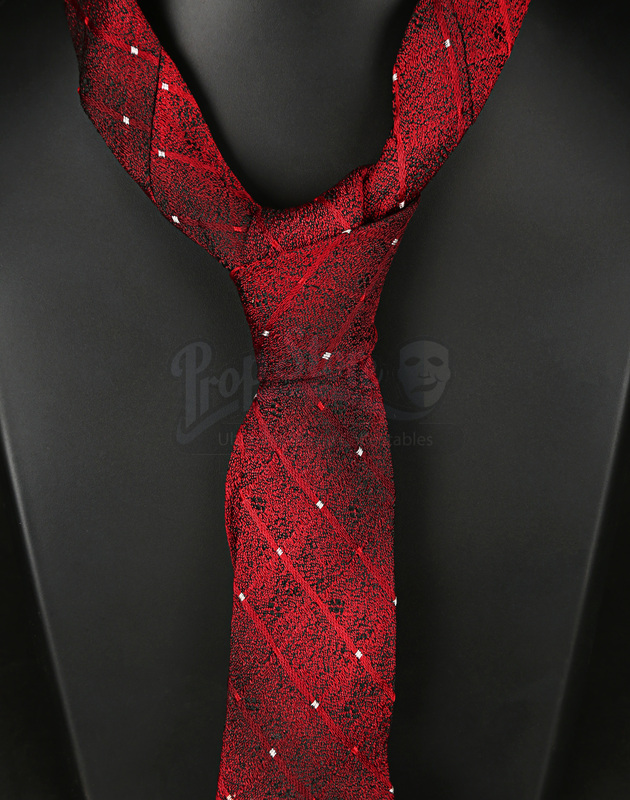 It features very little wear and remains in an excellent condition.